Considering selling your Rock Hill, Fort Mill or Tega Cay home? The decision to sell your Rock Hill or Fort Mill SC home can be the result of any number of circumstances. The associates at Homes in the Piedmont understand that your home represents more than a real estate listing. Your home holds memories; you may be leaving behind friends and neighbors, you may be anxious to make a move, or looking forward to an exciting change. With some basic information, we can help you determine what your home may be worth in today's challenging market. Just contact us at elaine.davis@allentate.com. Our Free CMA can give you a price range to help you decide. Selling a home is a big step, but when you decide to make that move, your choice of a real estate professional is a critical one. Homes in the Piedmont recommends a process that enables us to get your home on the market using the best tools in the business. Take a minute to click through our step by step process to view a roadmap to a successful sell. 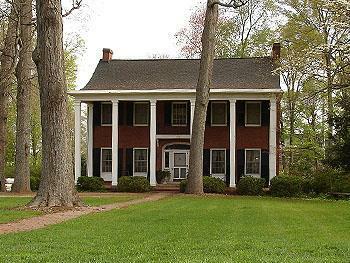 Rock Hill, South Carolina has a variety of neighborhoods and amenities that offer home buyers a number of options in home price, architectural style, school options, and more. The listing agents at Homes in the Piedmont know what it takes to sell a home in a challenging real estate market and their proprietary marketing programs are designed to target every type of home buyer.